Parle Products, India’s leading biscuit and confectionery manufacturer, announced its entry in the pulses category with the launch of its new brand Fresh Harvest. In line with its values of trust and supreme quality, Parle’s Fresh Harvest aims to offer its consumers protein rich pulses that are processed and packed in the most hygienic conditions within a state-of-the-art facility. The Fresh Harvest collection will comprise Toor, Moong, Urad, Channa and Masoor dals sourced from the best farms in Maharashtra and Karnataka. With a market value estimated at 27 million tonnes per annum, India is the largest producer and consumer of pulses. Various studies have revealed that India’s projected demand for pulses is set to grow up to 35 million tonnes by 2020. Though demand is huge, 99% of the market is unorganised and adulteration of products is one of the key issues that consumers face. With Fresh Harvest, Parle aims to provide Indian households premium quality pulses that are unadulterated and hygienically packed, assuring consumers about safety and quality of the product. Fresh Harvest is another addition to Parle’s strong product portfolio, which is known for its wide range of offerings in biscuits and confectionery. In the last decade Parle has forayed into multiple categories like snacks (western and Indian), premium chocolates and bakery items (rusk and cakes) and has established its proven expertise in delivering consistent quality products. 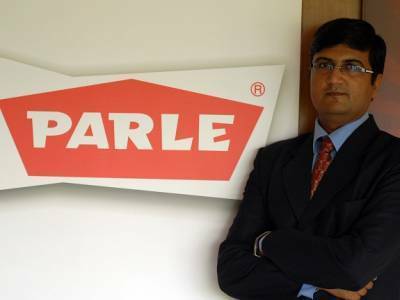 With the launch of Fresh Harvest, Parle continues to expand its foothold in the food business. Fresh Harvest has been launched across class-A outlets, Self Service Outlets (SSOs) and local retail chains across 5 lakh+ towns in Maharashtra currently and would be launched in phased manner in other parts of India over the next 12 months.